We love sharing at Fishers. Paella is meant to be shared and enjoyed over a relaxed lunch or dinner, and we couldn’t agree more with this amazing culture of coming together and catching up over delicious food. Come and celebrate time with family, friends and loved ones over a sharing dish of Fishers Paella, every Sunday at Fishers. 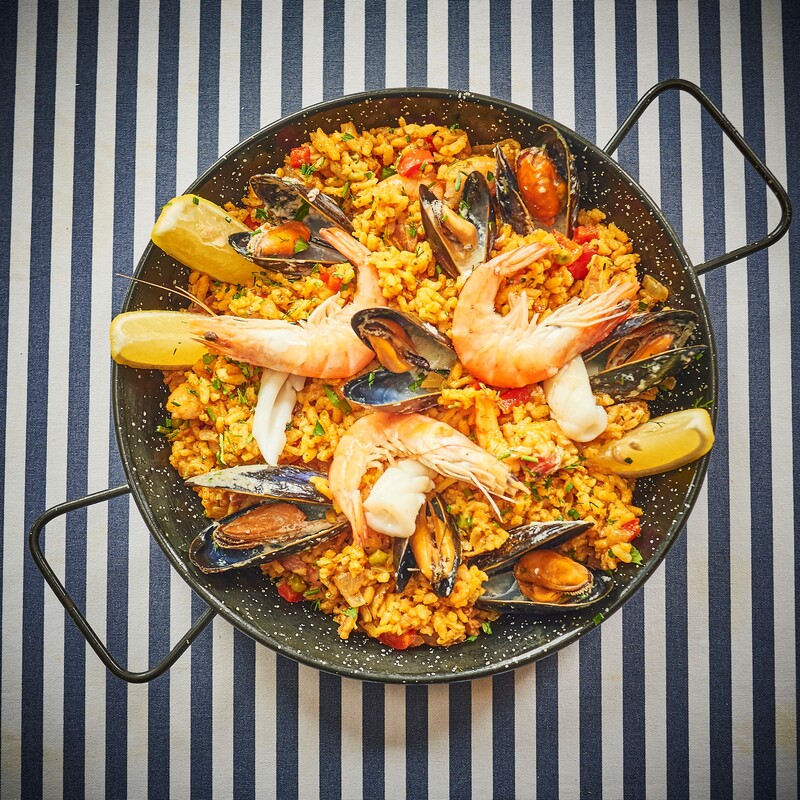 Fishers Paella includes mussels, tiger prawns, Atlantic prawns, flakes of cod, squid, crevettes and delicious, fragrant rice infused with paprika and saffron. Limited availability, book tables now by calling us on 0117 974 7044 or dropping us an email.